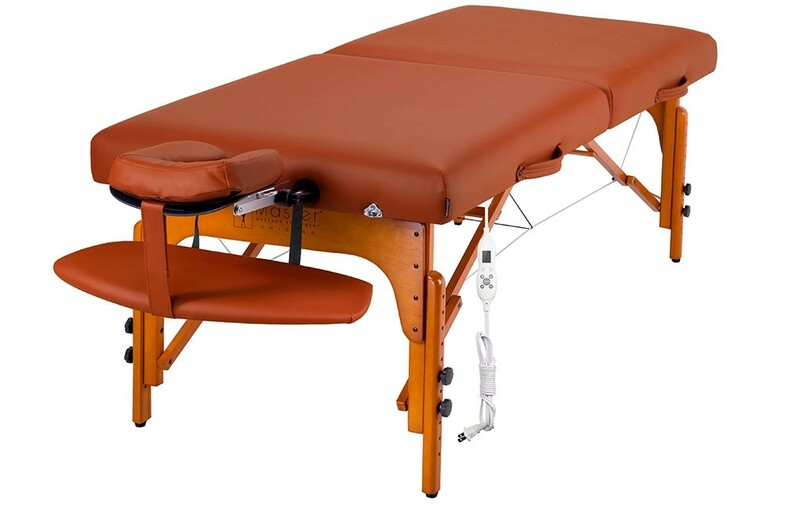 Endless features of the 31" Santana Therma Top Pro Master Massage Table give extra value for professionals looking to provide a range of services and bodywork, from traditional massage to intense physical therapy. 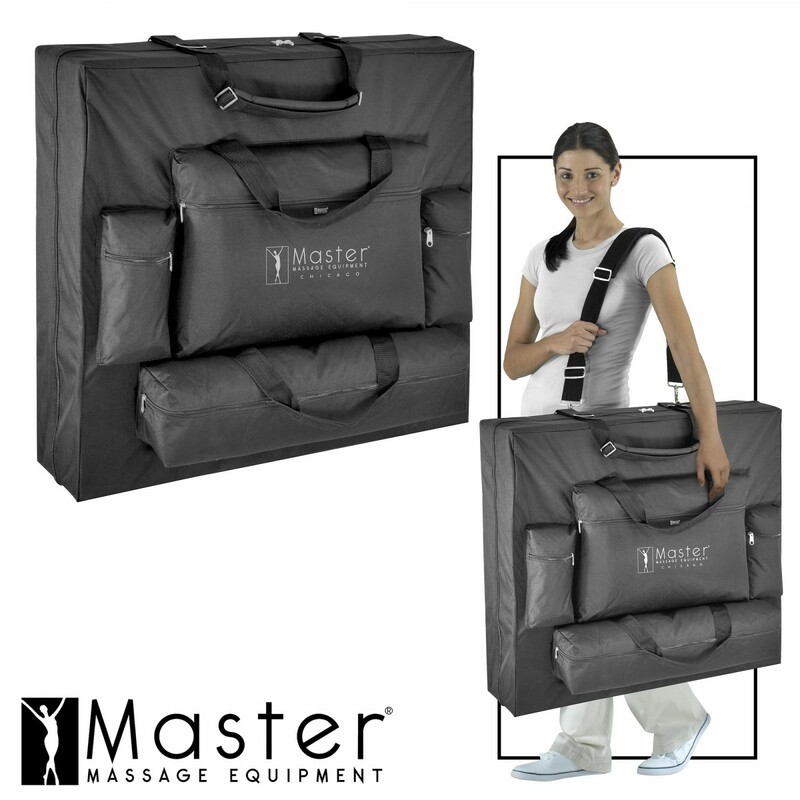 It consists of Built-in ThermaTop, Reiki end panels, memory foam, shiatsu cable release and 5 year guarantee PU upholstery. 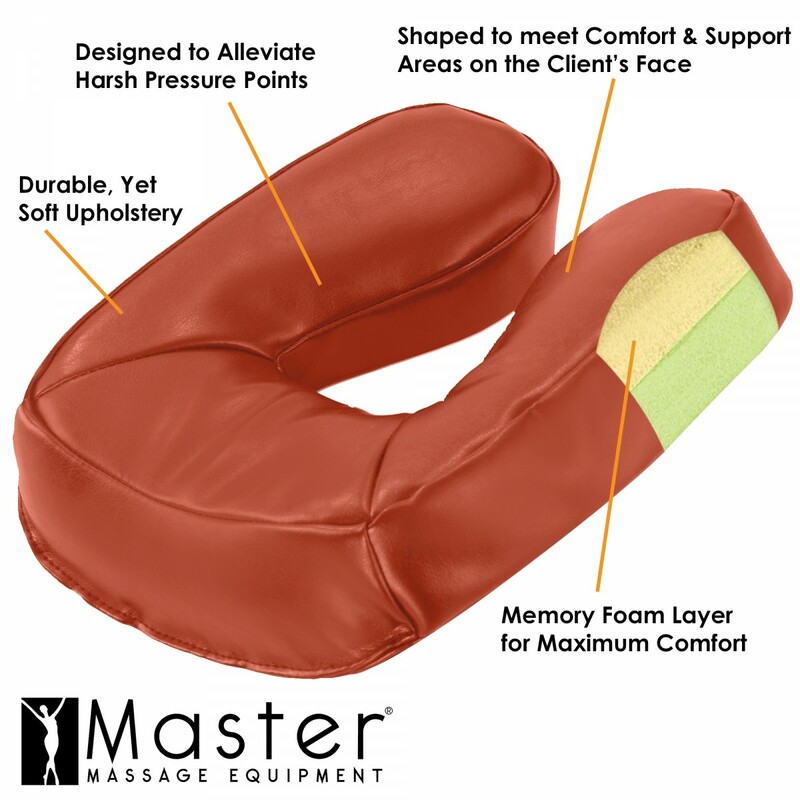 The Master Massage’s patented built-in ThermaTop adjustable heat bed soothes muscles, improves circulation and increases vitality. 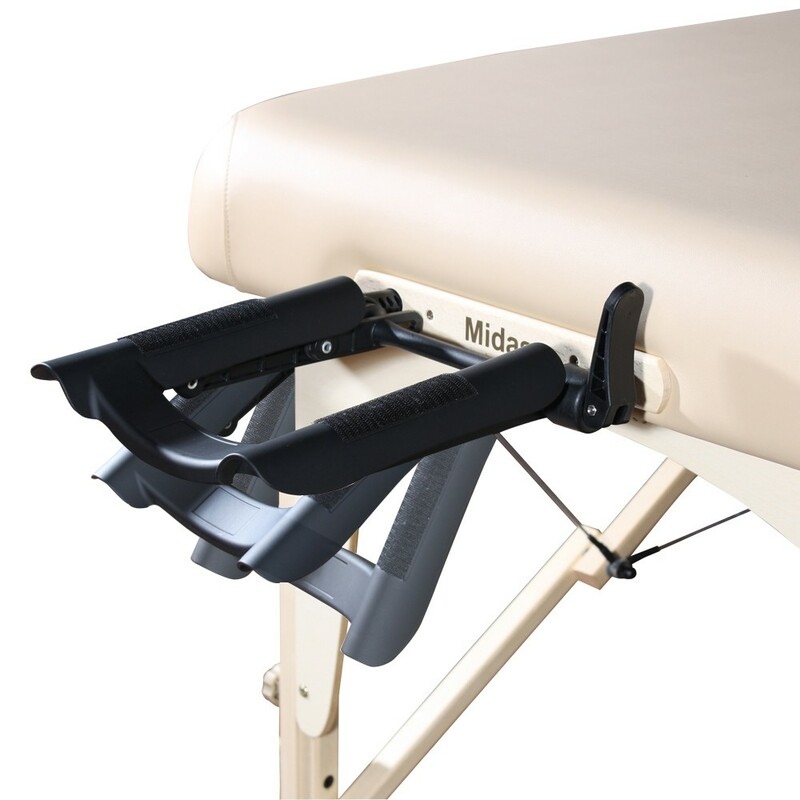 The wide shouldered Big Top bed provides 26% more cushioned space within the same size footprint as standard tables, and that cushioning consists of 3" thick Multi-Layer Small Cell foam which a layer of memory foam is included. 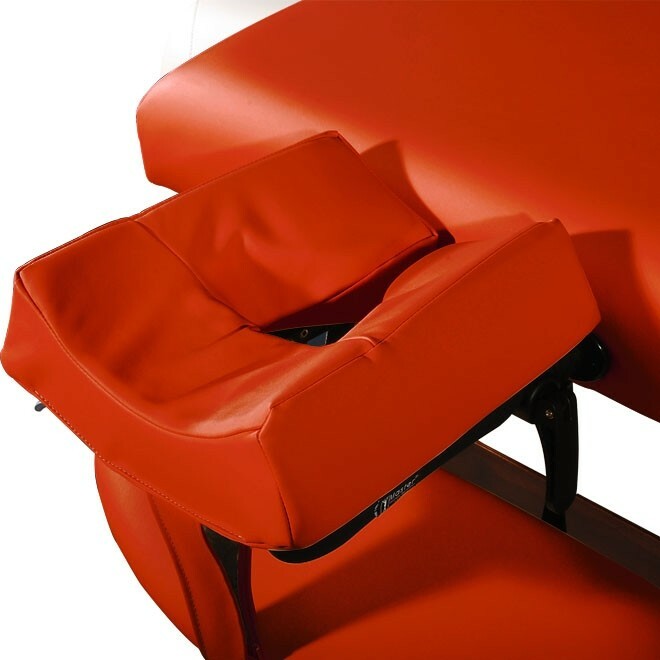 The cushioning is protected by beautiful Mountain Red PU upholstery that is oil- and water-resistant, CFC-free, and features a denim-like backing to reinforce the upholstery durability which is backed by a 5 year guarantee. 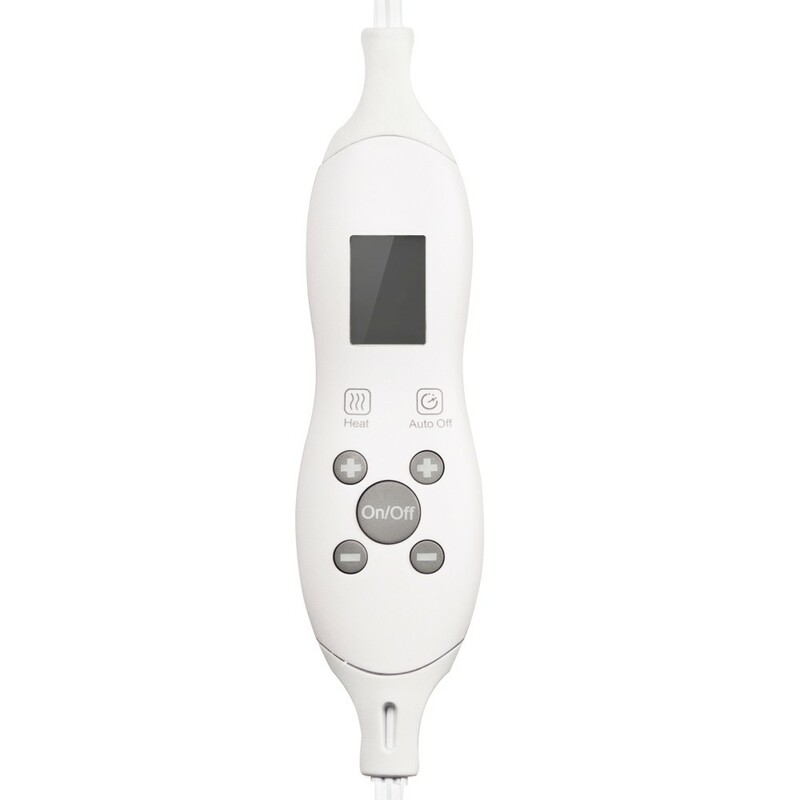 Adjustable Heights 24" - 34"